The longest barrier reef in the Western Hemisphere fringes Belize, which makes snorkeling and scuba diving extremely popular here. Recreational pursuits are popular, ranging from inner-tube trips down a jungle river to zip-line tours amid the treetops of a rain forest. 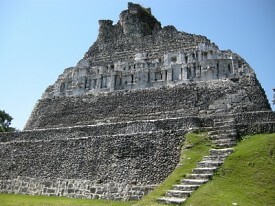 Other excursions departing from the Central American city visit Mayan ruins, wildlife preserves and botanical gardens. Or, spend the day at a pristine beach or browsing the delights of Belize City, including its marketplace, cathedrals and restored colonial mansions.